This part explains how you can use the JMAP API from 3rd party software. First make sure the “API keys” module from the ‘Community’ package is installed at System settings -> modules. 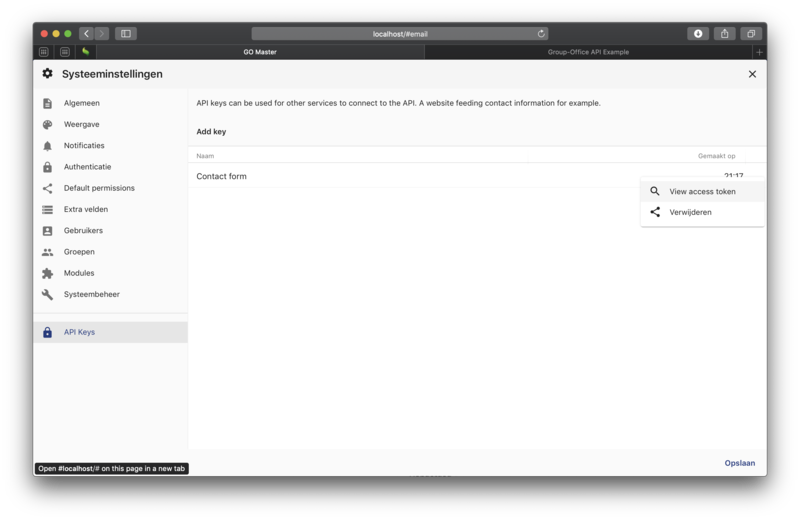 Then visit System settings -> API Keys and add a token. Obtain the token via the more menu and choose “View token”. You can of course use any programming language with the JMAP API.